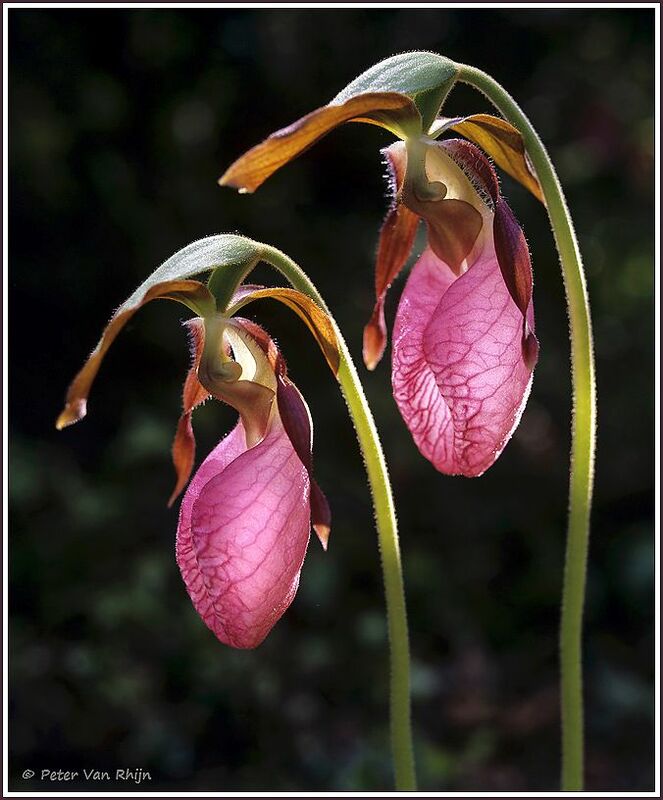 This handsome lady slipper is not rare in the forests around the Great Lakes. On my kayak trips to Georgian Bay which I try to plan in May, June or July, I see them in the forest regularly but usually they have already finished blooming. Change lenses quickly. You don’t want a black fly inside your camera. The shape of this orchid is perfect for my lighting approach. The directional backlight of the spotlight really puts a fire in their translucent bellies. This pair was captured in the Bruce Peninsula. This was the good old days: Mamiya RZ 67, Fujichrome RDP film, 127 mm lens with one extension tube.